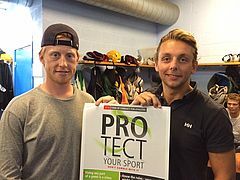 It's a busy time for EU Athletes' members participating in the Erasmus+ 2016 PROtect Integrity project. After the “Train the Trainer” conference organized together with Interpol, we have entered the next stage, which is the implementation of the project at the national level. The representatives of the player associations are currently travelling all over their home countries in order to meet with their member athletes and deliver face-to-face education on sport betting integrity and match fixing directly in the locker rooms. 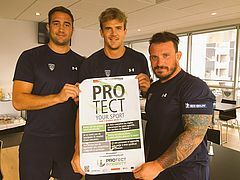 During the two-year project, over 15 000 athletes from 13 different countries and 22 player associations will be reached by the PROtect Integrity.